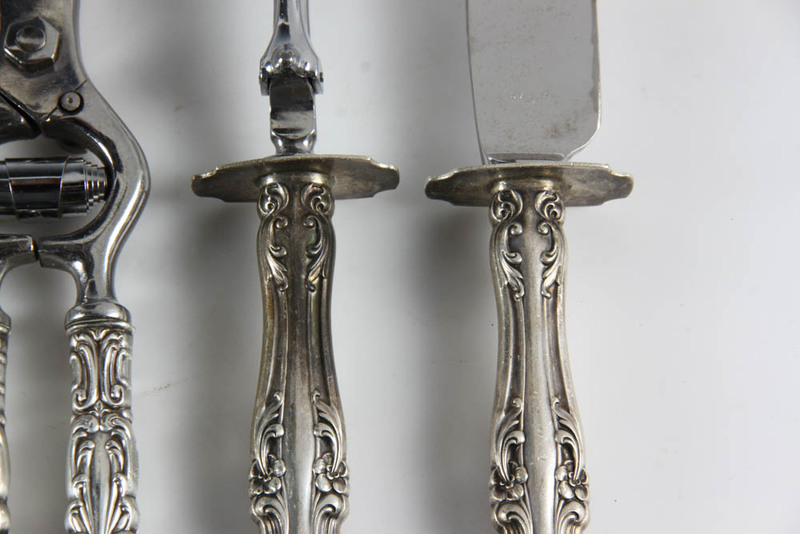 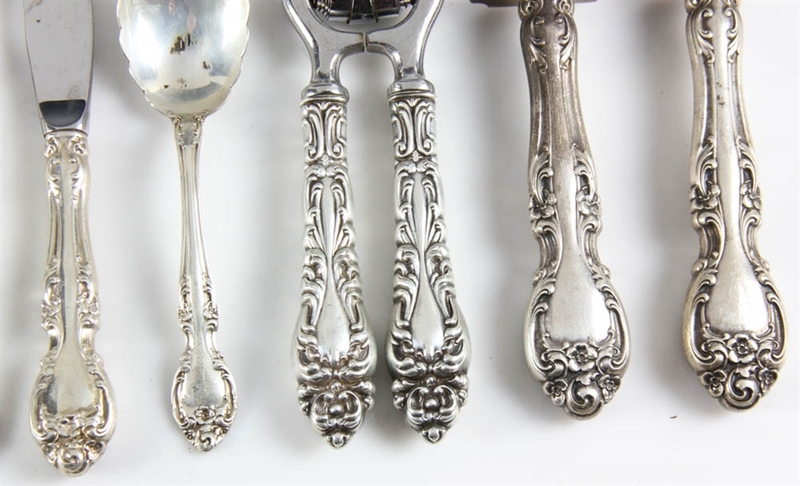 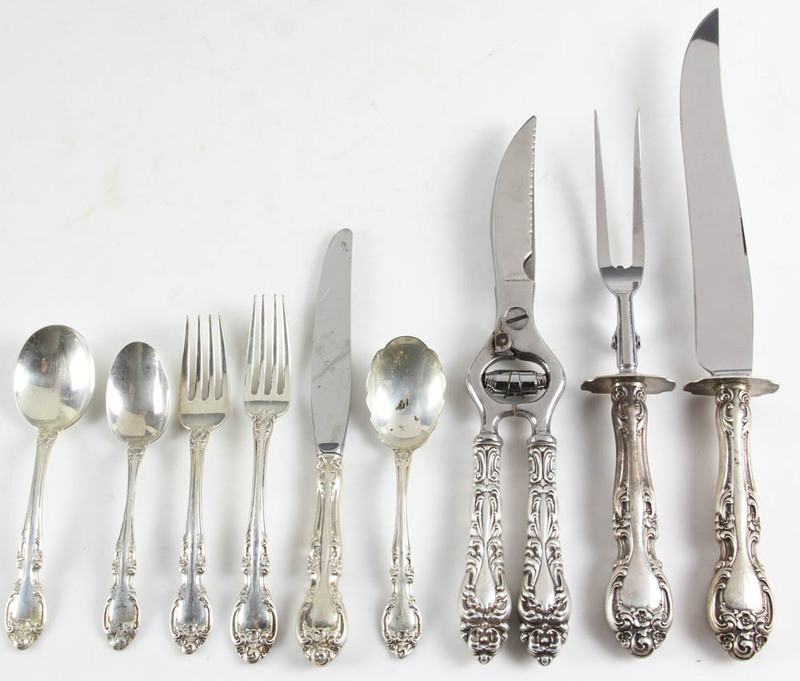 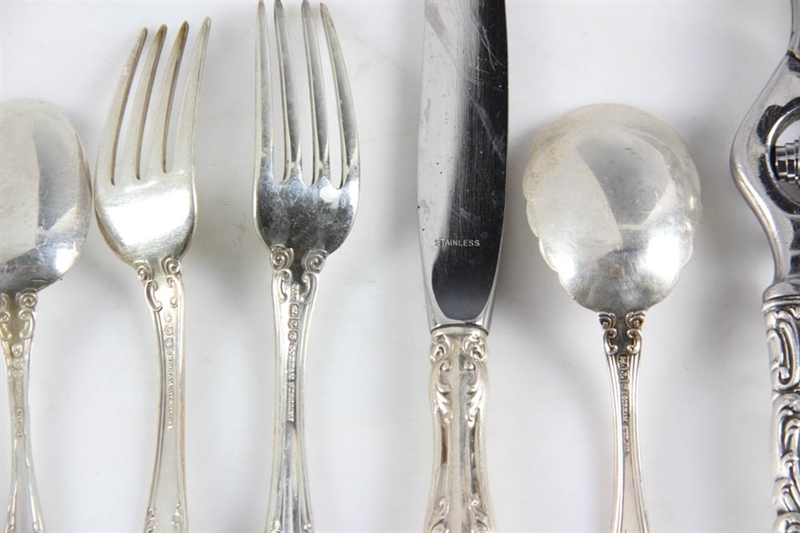 Gorham 'Melrose' sterling flatware set, to include: (17) forks, 7 1/8"; (11) forks, 6 3/4"; (9) soup spoons, 6 1/4"; (6) teaspoons, 5 7/8"; (9) knives, 8 3/4"; (1) 6" sugar shell, (3) serving pieces. 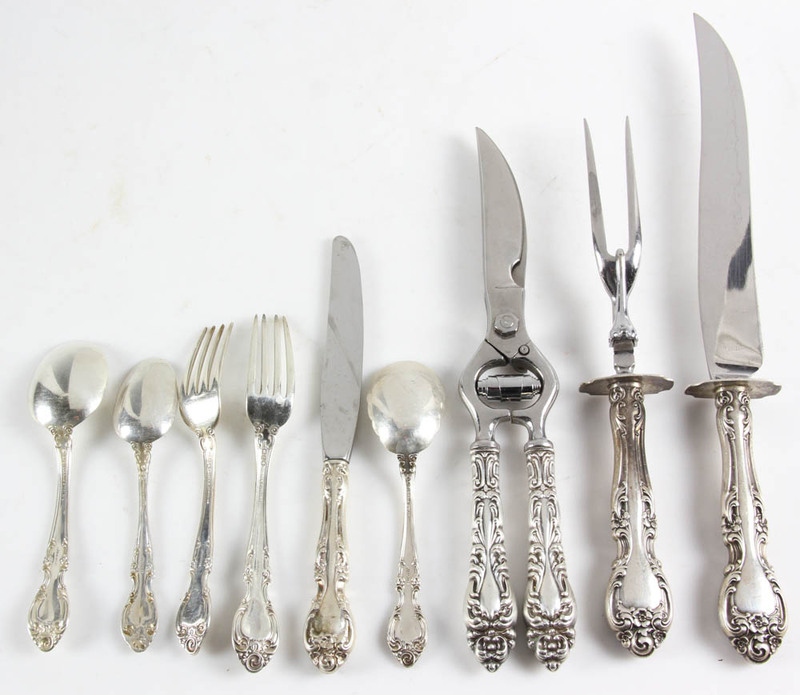 Approximately 74.9 troy oz TW (allowing 0.5 oz for each of twelve pieces with non-sterling elements). 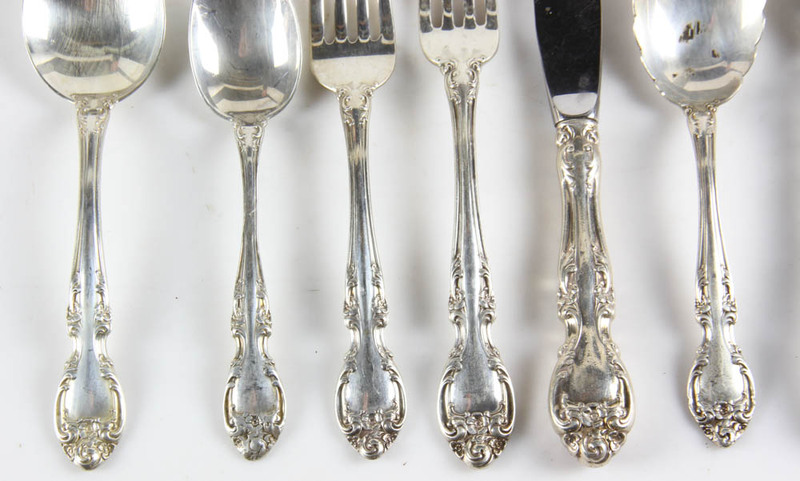 Provenance: Taunton, Massachusetts collection. PLEASE NOTE: payment for silver, gold, jewelry, and coins must be made via PayPal, cash, or bank wire transfer ONLY.